Now that mobile phone sales are on the rise – and smartphones and tablets are as popular as laptops – it’s definitely time to prep your business for mobile e-commerce. Even if you’re not a big-box store or well-known retailer, you can – and should – take advantage of mobile commerce. Here are 10 tips (plus a bonus!) that can help you get the most out of this growing trend. Create your own mobile app. You don’t need programming knowledge – you can use a product like Conduit Mobile to build an app for any mobile OS. No coding necessary, and you can customize the app to your target shopping audience. Switch to responsive web design. A responsive site will adapt to each user’s screen automatically – whether they’re viewing your site on a computer, smartphone or tablet. This way, you don’t need a separate app for each type of device. Saves time and money in the long run! Go high-resolution now. Low-quality images display badly on mobile sites. Like, really badly. As mobile displays become increasingly advanced, customers consistently prefer sites with high-quality images, and skip sites that display poorly on smartphones. If you start using high-resolution images on your website or blog now, you’ll make more sales – and lose fewer customers – down the road. Talk to the young’uns. You might think your site looks cool and easy to navigate – but do your kids think so? The younger generation is much more “in tune” with how mobile devices work, how sites should look and feel on tablets or smartphones, and which interfaces are the most intuitive and user-friendly. Young people are a resource! Talk to them and learn. Check out your customers. Check out how they interact with their phones, that is. What are their most common behaviors? How do they typically engage with mobile sites, and what types of sites and applications do they prefer? Sometimes, quietly observing can teach you more than a dozen market research surveys. Streamline the heck out of everything. Start “cleaning house” now, and strip your site down to the essentials. 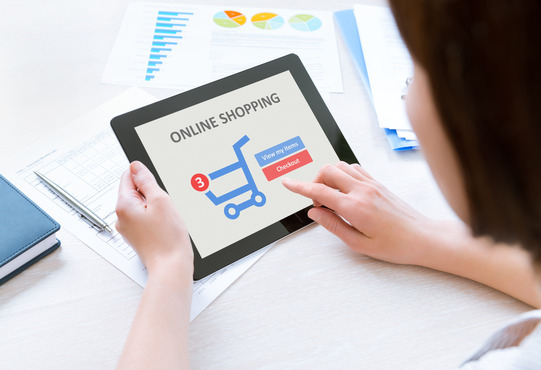 Customers don’t want to click through a cluttered e-commerce site on an iPhone, so make sure you’re only displaying the graphics and content you REALLY need. Also, make sure your smartphone users will be able to view the site in vertical orientation. Horizontal doesn’t work well for mobile. Buy something from yourself. And use the mobile version of your site. Go through the process from shopping through checkout and see what it feels like. How do you process credit card information? How is your order confirmed? Do you have to jump between multiple windows? Was your overall “shopping experience” easy? Frustrating? Impossible? You may get more insight from one shopping trip than from hours of design analysis. Get rid of Flash. Apple-based products – including iPads and iPhones – don’t support it. So you shouldn’t, either. Pick the right platform. Build your site on an ecommerce platform like Magento, which extends itself well for mobile sites. That way, even if the switch to mobile is still in the future for you, you’ll be ready when the time comes. And a bonus tip! Think through what you need, and don’t build something yourself if you’re not ready. A reliable web development company can quickly transfer your site to mobile without hours of headaches, wasted time and resources. Don’t over-complicate things. When you’re ready to make the switch to mobile, there are options out there for you.